The latest version of the Komplete bundle combines a range of NI products, while the Komplete 7 Elements collection is designed to set a new price point for music production enthusiasts on a budget. The seventh generation of KOMPLETE now comprises 24 individual products, including the latest REAKTOR 5.5 version as well as the new REAKTOR PRISM, RAMMFIRE, REFLEKTOR, TRAKTOR'S 12 and VINTAGE ORGANS. Other products now contained in KOMPLETE include the ABBEY ROAD 60s DRUMS vintage drum library, the performance effect THE FINGER, the electric pianos and an electric bass by sampler Thomas Scarbee, the four acoustic pianos from the CLASSIC PIANO COLLECTION, the cinematic ACOUSTIC REFRACTIONS instrument and the REAKTOR SPARK synthesizer, amounting to about 10,000 sounds and 90 GB of studio-grade sample material overall. The new KOMPLETE 7 ELEMENTS collection combines the synthesis, sampling and effects processing capabilities of the KONTAKT, KORE, REAKTOR and GUITAR RIG player versions with about 2,000 production-ready sounds and 12 GB of sample material to cover a range of musical styles. This includes an assortment of acoustic sounds with VSL orchestral material, Abbey Road drum kits, and various other classical, ethnic and band instruments, complemented by sampled classic analog synthesizers and other vintage keyboards. For electronic sound aesthetics, KOMPLETE 7 ELEMENTS contains various distinctive REAKTOR instruments with about 1,200 presets, complemented by atmospheric ABSYNTH soundscapes and sounds from the MASSIVE synthesizer, enabled through the integrated engines in KORE PLAYER. 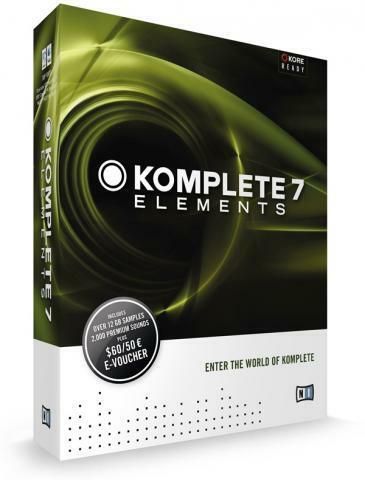 KOMPLETE 7 ELEMENTS also includes eight authentic amp emulations and a range of effects based on GUITAR RIG, providing a basis for guitar recording and general creative sound processing. 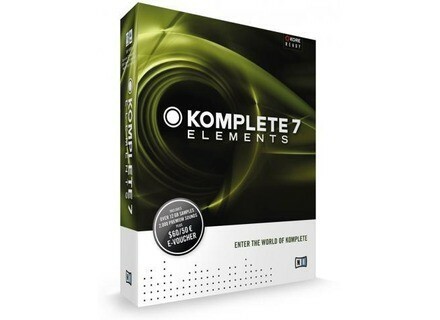 Every copy of KOMPLETE 7 and KOMPLETE 7 ELEMENTS also includes an NI Online Shop voucher worth $60 / 50 EUR, valid towards any product from the KOMPLETE Instruments and Effects range. Zynewave Podium 2 Update Zynewave has updated Podium to v2.36 and Podium Free to v2.34. Audiffex GK Amplification 2 Audiffex announced a new version of the Gallien-Krueger Amplification plug-ins, GK Amplification 2. HyperSynth SIDizer HyperSynth has announced the release of SIDizer, a new emulation of the SID chip in the form of a software synthesizer plug-in.